In a study that was done in the Journal of Angle orthodontist in March of 2010, researchers wanted to determine how people would perceive the role of a smile in attractiveness of the face. So what they did at the University of Michigan was to ask 20 dentists and 20 non-dentists how they would evaluate the faces of 48 females. 1. Both dentists and non-dentists thought the faces of the females were better without smiling before they had their teeth straightened out. 2. 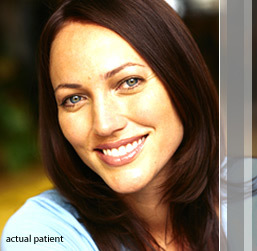 Both dentists and non-dentists did not find a difference in the smiling and non-smiling images of the females after their teeth were straightened out. Conclusion: Teeth that are crowded and overlapping each other can negatively affect the perception of beauty.